It’s mid January in Edinburgh. Patches of yesterday’s snow make florescent patterns on the future flowerbeds of the new old folks home across the road. It’s a home specifically for people with dementia. From the living room I can see that all of the rooms are, as yet, empty, but at night the lights are on and the lit stairwell and empty rooms have a waiting quality about them. The place actually looks quite nice. There are raised garden beds and a smoking pegoda. It’s close to the sea. Still, there it is, in direct line of sight, the sort of well-run, nicely maintained facility my mother ended up in. My bedroom has a better view, a bus depot with the North Sea behind. And at night three different lighthouses, the Stevenson-designed lighthouses on Bass Rock, Fidra and Inchkeith. They are all small islands in the Forth with layers of human and bird history: the gannet-call from Mary Queen of Scots; the empty bellies of the Covenanters growling in the seacaves. I watch the lightbeams flash at different times on different moments every night. They are like ministers who reach across to bless me by touching my head and all the worlds I hold in it. Which makes me think of the Christmas Eve service I went to with two friends at a local Catholic church here in Portobello last year. They made darkness and then lit candles, there were songs and words, but my favourite part was the Eucharist when we were invited to line up to either receive the Eucharist or, if we would prefer, just to get a blessing from the priest. We were told if we wanted the blessing and not the body we should, when we reached the priest, lay our right arm across our chest. Although longing to make the gesture that was suggested for the blessing that was being offered, I didn’t join the line. I stayed in my seat, listening to the blessings and The Body of Christ’s and the Amen’s. I sat longing for what was right there: for the ancient stone church I was in, the candles that were burning, the smooth wooden pew I was sitting on, for the call and the response, for the psalms, for the hand above my head. But there was something about submitting. I could not say yes. There was something about the stories, or perhaps those who were delivering them. And it wasn’t just that it was a Catholic church, because neither could I have said a true yes in a lovely plain Protestant church or in the gold shine of a Buddhist center. No matter the lonely pilgram that I am, my feet sore from the journey. The place where I can hear and respond to the chants of ritual, of community, awash as it is with human frailty and wrong-footedness, is in poetry. Here I can bear the most vulnerable of human fallibilities, not least my own, because the lodestar for poetry is contingency, the acknowledgement of chance and change. I know I will not be hobbled by a single strand of anyone’s story, or my own. It’s my belief that poetic repetition describes and significantly enables that contingency – that when a word or phrase is repeated it connects to previous iterations (within the poem and across poetry) at the same time as demonstrating change (the influence of a changed context, its changed syntactic neighbourhood). So I can hear my foundation songs there; I can say yes to them, because they are constant (sounding our deep and far traditions) as well as mobile and accommodating (fluid, responsive to context). To be honest, I don’t entirely know what I mean by foundation songs, but I do recognise them. No, actually, I recognise the structures that lift them from the ether to the ear. Most importantly, the measured returns of anaphora and the echoing of form in parallelism that allow incantation, chant, prayer, spell, and poem; sounds that have shaped and defined social, spiritual and geographical communities across the world. Constructions from which we have called for protection, for shelter, for food, for solace, for guidance. Calling the dinghy into the shore, the deer to the arrow, the heart back home. In her essay ‘Liturgy, Art and Politics’ theology scholar Catherine Pickstock writes that ‘all cultures begin in liturgy which fuses the repetition of ideal value, with physical inscription upon bodies, places, times and motions.’ She uses the term liturgy rather than ritual because she feels that Western scholarship has diminished the meaning and scope and relevance of the word ‘ritual.’ She goes on to note that places are ‘bound together by ceaseless performance of liturgy’ and that ‘this rhythm leads the city to refer beyond itself to nature and to the eternal.’ Poetry, so grounded in detail and moment, also releases us from detail and moment by its repetitions that remind us of the ‘ceaseless performance’ that is the constant process of making and becoming. It reminds us how we belong. It washes us in community that doesn’t depend on physical proximity, internet access, a car. This entry was posted in ESSAYS and tagged Ali Smith, Catherine Pickstock, Lynn Davidson. Bookmark the permalink. Lynn Davidson writes fiction, essays and poetry, most recently Common Land, a collection of poetry and essays. 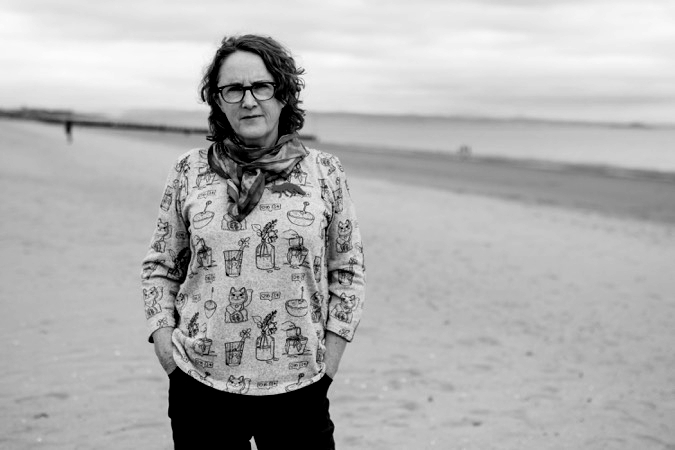 Her work has appeared in journals and anthologies including Sport, Australian Poetry Journal, PN Review, Best of Best New Zealand Poems and Another English: Anglophone Poems from Around the World. In 2013 she had a writing fellowship at Hawthorden Castle in Scotland. She teaches creative writing and recently completed a PhD in Creative Writing through Massey University, Wellington.